BMus student Carter Johnson won the 2018 UBC Concerto Competition for his performance of Prokofiev’s Piano Concerto No. 3 in C Major, Op. 26, with MMus student Carlos Savall-Guardiola taking second prize for his rendition of Francaix’s Concerto for Clarinet and Orchestra, Op. 36. Watch Carter perform his concerto with the UBC Symphony Orchestra here. Fourth-year BMus student Kurt Ward-Theiss, baritone, and first-year BMus student Jonathan Lopez, clarinet, received bursaries from the Vancouver Welsh Men’s Choir. Kurt and Jonathan performed in the Vancouver Welsh Men’s Choir Celtic concerts on St. Patrick’s Day weekend in Maple Ridge and at Christ Church Cathedral. The Vancouver Welsh Men’s Choir Student Bursaries advance the ensemble’s mission of collaborating with and supporting youth choirs and soloists in our community. PhD candidate Antares Boyle won the Society for Music Theory’s prestigious SMT-40 Dissertation Fellowship for her dissertation project, “Formation and Process in Repetitive Post-Tonal Music,” which theorizes how musical segments, processes, and larger forms arise in recent post-tonal works that feature extensive varied repetition. The $3500 fellowship recognizes and fosters excellent research in music theory by helping highly qualified Ph.D. students to complete their dissertations. DMA student Emily Logan and Faculty of Medicine student Danielle Olmstead will present their abstract titled “Injury management and health care access in university-level musicians and athletes: a comparative study” at the 2018 Performing Arts Medicine Association’s International Symposium at Chapman University this summer. Emily studies with Prof. Terence Dawson. DMA student Benjamin Hopkins won the grand prize at the inaugural Robert and Ellen Silverman Piano Concerto Competition in March! Nine students competed in a thrilling evening of piano concertos at Roy Barnett Recital Hall, with second prize going to DMA student Evgenia Rabinovich, third prize to BMus student Ayunia Saputro, and fourth prize to BMus student Aydan Con. The prizewinners will perform with the UBC Symphony Orchestra on September 23rd, 2018 at the Chan Centre for the Performing Arts. Benjamin will perform his winning interpretation of Beethoven's Piano Concerto No. 4, while the other prize winners will have the opportunity to play at least one movement of their concerto with the orchestra. Carlos Savall-Guardiola won the 2018 Royal Over-Seas UK Scholarship for a BC Emerging Musician. Auditions were held in Barnett Hall on Saturday, January 20. This summer, as part of his scholarship, Carlos will perform in London and at the Edinburgh Fringe Festival. He will also receive lessons from prominent teachers in the UK. BMus student Liel Amdour won the Ben Steinberg Musical Legacy Award, which is presented annually by Temple Sinai Congregation of Toronto to a promising young Jewish artist (instrumentalist or vocalist). The prize is $2,500 and a concert recital in Toronto. As Liel points out, “It is extra exciting because my teacher at UBC, Dr. Daniel Bolshoy, received this award in 1996. He has been a fantastic supporter of my journey.” Liel’s concert will happen on June 13th, 2018 in Toronto. She will also play a recital for the Vancouver Classical Guitar Society Emerging Artist Series on May 19th. BA (Music) student Chantelle Ko received the Interdisciplinary Award at the recent UBC Multidisciplinary Undergraduate Research Conference for her innovative Touch Responsive Augmented Violin Interface System (TRAVIS), the capstone project for her minor in Applied Music Technology. For the project, supervised by Dr. Bob Pritchard, Chantelle added soft potentiometers and force sensing resistors to one of her violins, for the control of audio and video triggering, synthesis and processing, while using traditional performance techniques. PhD student John Lai presented his conference paper “Lotus, Blossom, and Dream: Octatonicism in Toshio Hosokawa’s Lotus under the Moonlight: Hommage à Mozart” at the West Coast Conference of Music Theory and Analysis in April at San Diego State University. Students in the School of Music’s Ethnomusicology Department have been incredibly busy. Following is news of four PhD students in ethnomusicology who are all currently immersed in writing dissertations as well as involved in various kinds of public culture and performance projects outside of their academic work. Their activities testify to UBC School of Music’s presence in many kinds of musical and cultural scenes worldwide. Jonathan Adams and current visiting artist I Putu Gede Sukaryana (Balot) co-founded Insitu Recordings on the island of Bali in September 2016. Since the project launched, they have released 14 albums of new and traditional gamelan music. This includes five volumes in their unique Insitu Sessions series, which are recorded and released in HD video. In February of this year they launched a companion digital publication: Insitu Recordings Magazine. 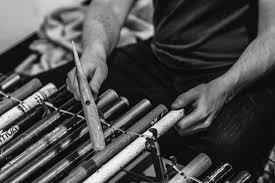 The magazine gives greater context to the wider world of gamelan music, exploring imagined centers as much as their peripheries, and is a medium through which established voices can be shared with younger people and/or those outside the rather inward-looking realm of Balinese gamelan. The first issue can be viewed here. The project was recently featured on Nerhera Sounds SOAS Radio London, which can be streamed here. PhD student Julia Ulehla leads the Dálava project with her husband, guitarist Aram Bajakian (MMus’17). Dálava is an homage to traditional Moravian (Czech) folksong, sourcing melodies transcribed over 100 years ago by Julia’s great-grandfather Vladimir and reanimating them in an avant-garde, post-rock musical language. With support from UBC’s Public Scholars Initiative, Dálava recently released a new record called The Book of Transfigurations (Songlines Recordings, April 2017) that has garnered considerable critical acclaim: “Every now and then an album appears that is so overwhelming and so intense that it is hard to put into any category….. Saying that The Book of Transfigurations is a masterpiece is not an exaggeration” (Bas Springer, fRoots, August 2017). The Province included Dálava on its “10 best live concerts in Vancouver” list, while The Chicago Reader’s Peter Margasak named The Book of Transfigurations one of his top 40 records of the year. In October, Julia was invited to speak about Dálava at Womex in Katowice, Poland, where she also gave interviews for the BBC and Norwegian Radio. Dálava will appear at several major international music festivals in 2018. Before coming to UBC to study ethnomusicology in 2014, Eshantha Peiris co-founded the after-school music education program Musicmatters in Colombo, Sri Lanka. One of the projects initiated by the staff of Musicmatters was the Transcoastal Collective; this collaboration with musicians from the formerly war-torn district of Batticaloa was inspired by the folk music of that region. 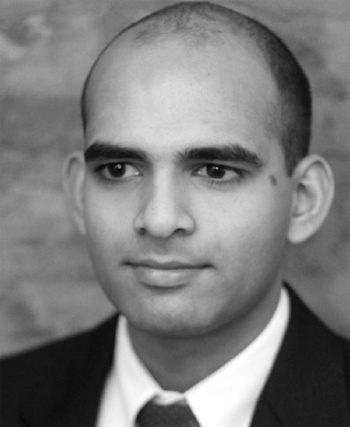 Eshantha’s current research examines the social history of a Sri Lankan tradition of ritual drumming that has undergone changes in musical vocabulary in the twentieth century. Curtis Andrews has been connecting to communities in Ghana since his first visit there in 1999. 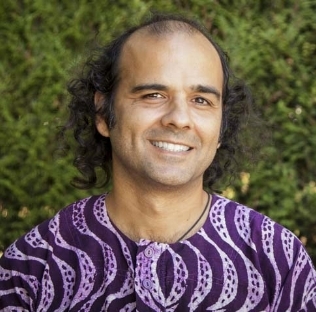 He is currently based in the village of Dagbamete, in southeastern Ghana, where, for his PhD dissertation, he is studying the connections between vodu, music, and culture. Curtis has been supporting educational development in the area since 2007, co-founding the Dzogadze Education Development Foundation, which assists deserving students with their educational needs.